Please help the AAC realize its goals through your generous support by placing an ad in our program book and/or becoming a sponsor. 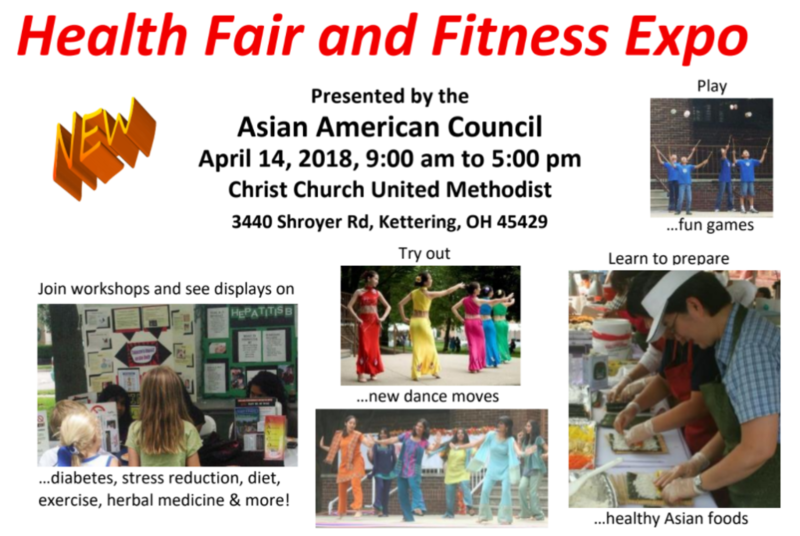 The Asian American Council serves Asian American populations in the Greater Dayton area including the Montgomery and Greene Counties. Our health outreach programs target those who are not currently receiving basic health services, including new immigrant families, the linguistically isolated, and those without basic health insurance. The need for proactive measures are increasingly urgent, as Ohio's Asian immigrant populations have increased rapidly in the past decade (by 49.1% between 2000 and 2010 in comparison with a corresponding 9.7% increase among the non-Asian population). Further, most Asian immigrants are from countries wherein certain infectious diseases (such as Hepatitis B and tuberculosis) are highly prevalent and the risk for chronic disease (such as diabetes and cardiovascular disease) grows at an alarming rate. In our health outreach efforts, we seek to establish partnerships with our local Public Health and health care providers in developing long-term, self-sustaining initiatives to improve the health status among Asians and other minority groups, to increase access to health programs and services, and to decrease health disparities. A Bone Marrow Donor "Be the Match" Drive will be featured at the Asian American Council's Health Fair and Fitness Expo. Volunteers will briefly explain the procedures in joining the "Be the Match" donor registry that can save the life of a blood cancer patient. Then, they will guide donors in completing the application form and obtaining a swab of gum (or cheek) cells.